Frederico Commandino's father was Battista Commandino who was from a leading family in Urbino. Battista had designed the fortifications of Urbino while his father, Frederico's grandfather, had been the secretary to the Duke of Urbino. There is little information about Commandino's youth and all we know of his early education is that he studied Latin and Greek at Fano under the humanist G Torelli. He returned to Urbino where the next stage of his education came about because of the political situation in Europe. Suleyman the Magnificent came to power in 1520 and soon pressure from the Turks was felt in Europe. Charles V, the Holy Roman emperor, felt that his duty was to defend Christian Europe against the Turks but, despite this, his Spanish and German troops marched against the Pope, entering the city of Rome in May 1527. They looted the city in the infamous Sack of Rome with thousands of churches, palaces, and houses being destroyed. The Orsini family, one of the leading families of Rome, fled from the city and sought safety in Urbino. There they had a mathematics tutor for one of their sons, and this same tutor taught Commandino mathematics. Commandino's talents were quickly recognised by his tutor. After this tutor was appointed a bishop in June 1533 he arranged that Commandino be appointed as private secretary to Pope Clement VII. He took up this appointment in June 1534 but on 25 September 1534 Pope Clement died and Commandino then went to the University of Padua. Bernardino Baldi, who was a student of Commandino in the latter part of his life and wrote a short biography of him in 1587, claimed that he studied philosophy and medicine at Padua from 1534 to 1544 but one should not suppose that this means that he was a student for ten years. Having independent means, he was almost certainly able to study in an academic environment without taking specific degrees. Padua was famous for its medical school but despite this he took his medical degree from the University of Ferrara. It is worth noting that Copernicus followed a very similar path some 40 years earlier, for he also studied medicine at Padua and took a degree from the University of Ferrara; in Copernicus's case however his Ferrara degree was in law and not medicine. It appears that Commandino intended to practice medicine and indeed he returned to Urbino with this aim. Back in his home town, however, he was appointed as tutor and medical advisor to the Duke of Urbino. He married but his wife died after giving birth to two daughters and a son. After becoming personal physician to the Duke of Urbino, he met Cardinal Farnese, the brother of the Duke's wife, and the Cardinal persuaded him to move to Rome in the early 1550s as his personal physician. While in Rome he became friendly with Cardinal Cervini and when Cervini was elected Pope Marcello II in 1555 it looked as if Commandino would prosper with personal favours from the Pope. However Pope Marcello II died shortly after his election and Commandino continued in the service of the Duke of Urbino and Cardinal Farnese but he now returned to Urbino to carry out his duties. It would appear that Commandino was never that enthusiastic about being a medical advisor. His true love was the study of the mathematical classics and he had the mathematical knowledge, as well as language skills, to edit and to translate these books. Already when he lived in Rome he had begun the task of editing Ptolemy's Planisphere and from that point on he spent the rest of his life publishing translations (mostly Greek into Latin), with commentaries, of the classic texts of Archimedes, Ptolemy, Euclid, Aristarchus, Pappus, Apollonius, Eutocius, Heron and Serenus. His first published work was an edition of Archimedes, dedicated to his patron Cardinal Farnese, which he published in 1558. Also in 1558 Commandino published the work which he had begun in Rome, namely Commentarius in planisphaerium Ptolemaei in which he gave an account of Ptolemy's stereographic projection of the celestial sphere. What is interesting here is that Commandino recognised that Ptolemy's stereographic projection is related to the perspective studies made by architects in designing stage scenery. This is actually an important connection and it shows that Commandino has a deep understanding of the works which he edited. An interesting letter (see ) which Commandino wrote to Ottavio Farnese, Duke of Parma and Piacenza, on 3 November 1560 tells us something about his life. His son had died and after that he had sent his two daughters to a convent school to be educated. In this letter he told the Duke that he had found a husband for one of his daughters and his second daughter would also soon be married. The reason that this was relevant was that the dowry that Commandino had to find for his two daughters had taken nearly all his capital and so to continue publishing his editions of the classical mathematical texts he required continued support from Cardinal Farnese, his patron, and he also hoped for a promise of support in his old age. In the letter Commandino outlined his plans for further publications including Ptolemy's De analemmate and an edition of Apollonius. In fact Commandino had only a manuscript of a Latin translation of an Arabic version of this book by Ptolemy to work from. 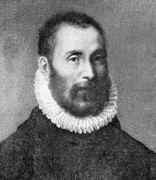 He published his edition of De analemmate in 1562 together with a commentary on the text and a work his own On the calibration of sundials of which he felt added a practical aspect to Ptolemy's theoretical discussions. ... pioneer treatise on centres of gravity in the Archimedean tradition. In particular the proof of proposition 2 in book II was incomplete, and Commandino filled it out. One step required knowing the location of the centre of gravity of any segment of a parabolic conoid. No ancient treatment of such a problem was then known, and Commandino's was the first modern attempt to fill in the gap. These two works were published in Bologna but Commandino did not spend long in that city since Cardinal Farnese died on 28 October 1565, after which Commandino returned to Urbino. The Duke of Urbino awarded him the pension which he had hoped for in his letter of 1560 and for a few years he appears to have been rather inactive, probably due to health problems caused by overwork. However the son of the Duke requested that Commandino prepare a Latin translation of Euclid's Elements and he set to work enthusiastically on this major task. It was published in 1572, dedicated to Duke Francesco Maria of Urbino, with the usual detailed commentaries which he always provided. In the same year he published his Latin edition of Aristarchus's Sizes and distances of the Sun and Moon again with commentary. By this time the excessive workload that Commandino had put on himself over the years was taking its toll. However, still wishing to push forward with publishing, he now also supervised his pupils in this task. In particular he supervised an Italian edition of Euclid, but he continued his own translating, working on Heron's Pneumatics. This last translation was still not published at the time of his death but his son-in-law ensured that this last complete contribution appear in print in 1575. We say last complete work since he left an incomplete Latin translation of Books III to VIII of Pappus's Collection. His pupil del Monte completed the task and published this final contribution in 1588. We should mention one further achievement of Commandino, namely his improvement of the reduction compass, helping develop it into the proportional compass. Perhaps we should say exactly what a reduction compass is. It consisted of a pair of dividers with the addition of a number of sharp points that could be slid up and down the arms to provide a device capable of giving measurements in fixed proportion to how far the legs of the dividers were opened. It is said to have been invented by Fabricio Mordente as a drafting instrument but it soon became used for finding proportions between figures. In  Gamba shows that Mordente spent some time in Urbino and had many discussions with Commandino and his pupil del Monte. How was this modified into the proportional compass? Well a proportional compass was like a pair of dividers but having a movable hinge in the middle. It had points at both ends of the legs and, depending on the position of the hinge, a fixed proportion was achieved between distances measures with the points at one end and those at the other. It was used to enlarge or reduce drawings. The next step forward from the efforts of Commandino and del Monte was that of Galileo in 1606 when he developed the proportional compass into a type of slide-rule. In  Napolitani discusses the achievements of Commandino who he rightly suggests had the greatest influence of anybody in ensuring that the classic Greek mathematical texts survived by publishing his editions of them. In the sixteenth century, Western mathematics emerged swiftly from a millennial decline. This rapid ascent was assisted by Apollonius, Archimedes, Aristarchus, Euclid, Eutocius, Heron, Pappus, Ptolemy and Serenus - as published by Commandino.